Fancy diamonds are diamonds that are richly coloured rather than colourless. True fancy diamonds are extremely rare, as only one in every 10,000 diamonds possess natural colour. Most of the coloured diamonds on the market are artificially coloured through various laboratory techniques. What you should pay attention to when shopping for fancy diamonds? Factors that are considered when selecting colourless diamonds are different from those that are applied to fancy diamonds, as clarity and cut proportions are not as important. What criteria should you pay attention to when it comes to fancy diamonds? When purchasing fancy colour diamonds, richness, deepness and intensity of a colour are the most important criteria. The more intense the colour, the rarer the diamond is. The grading levels of fancy colour diamonds are as follows: Faint, Very Light, Light, Fancy Light, Fancy, Fancy Intense, Fancy Vivid, Fancy Dark, and Fancy Deep. The clarity of fancy diamonds isn’t as important as with colourless diamonds, because inclusions tend to be masked by the diamond's colour. The carat weight of fancy diamonds has the largest impact on price after colour grade. Large gems are discovered less often than smaller ones, and that is why large diamonds are more valuable. Price also increases according to the carat weight. Colour is the most important characteristic of the fancy diamond, and this is the reason why they are cut accordingly to further highlight the colour while colourless diamonds are cut to enhance their brilliance. The shape of the diamond refers to diamond's outline when viewed from the top. Fancy diamonds are sometimes cut into non-traditional shapes to further emphasise their colour. When selecting a setting for your fancy diamond, keep in mind that some settings might better compliment the colour of the diamond than others. For example, a pink diamond will look good in a rose gold setting, while a yellow diamond will be beautifully complimented by yellow gold. 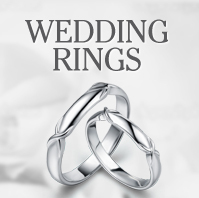 Looking for authentic, high quality diamond jewellery? 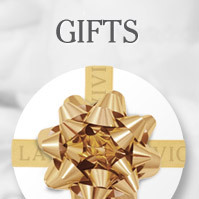 You can find a fantastic range at La Vivion. 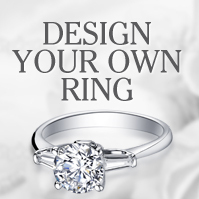 Feel free to contact us if you would like more information about diamonds and diamond jewellery.